Why won’t they replace it? It’s a defective part if there’s moisture in it as it’s a sealed unit and should be covered under warranty. Have you tried another dealer? I took the vehicle in for regular service at the Infiniti dealer I purchased from. I noted the headlight issue and my service advisor said he called it into Infiniti's Warranty Claim hotline and inquired. I was told Infiniti denied the claim and I was given a quote for a new assembly and labor costs totaling over $3,000 for only one light. I was told nearly the entire front clip has to be removed to replace the assembly. I'm giving the service manager until the end of the day to work this **** out, but we will see. UPDATE: My dealers service manager emailed me and let me know that he got the headlight covered under the Infiniti Goodwill Assistance program. I have yet to drop my QX60 off, but will continue updates throughout the process. The service manager did mention that the headlamp issue is no longer covered under warranty effective this year. I don't know the specifics on it but he said that infiniti changed their stance on the condensation issue. I constantly have to change 3 bulbs in the assembly on the driver's side. The 2 near the high beam and another behind the orange side marker. After being pulled over and cited last night for yet another blown bulb, I had enough and finally got Infiniti to handle this. They fought me for weeks prior to this incident but after I contacted the DMV for the improper equipment citation, I learned that a warrantied car sold in NC has to pass inspection. My car cannot with any light out in the headlight assembly. I made 3 attempts at repair, replacement or warranty with my dealer and in NC that's supposedly all it takes for Lemon Law proceedings. I let them know and they sent me an email saying, "Sir, we would like to extend Infiniti Goodwill Assistance to you and replace your headlight. We have one in stock and a loaner ready for you at your convenience." Presto Mother Fr's!!! hahahaha!!! that part made me chuckle out loud, right there. but glad to hear they FINALLY took care of it for you. Somewhat disheartening to hear that it took that much effort on your part, though. 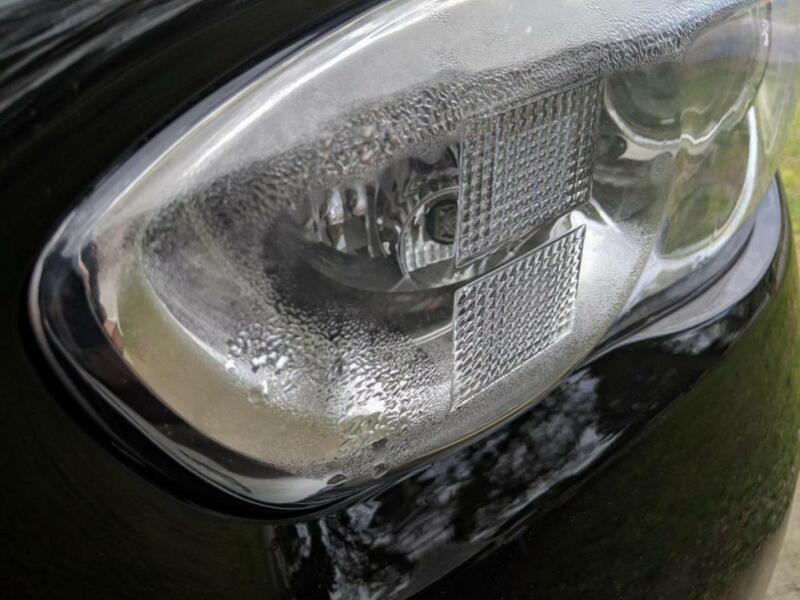 This details the main headlight assembly. I wonder if the fog light assemblies are similarly 'vented' or not? 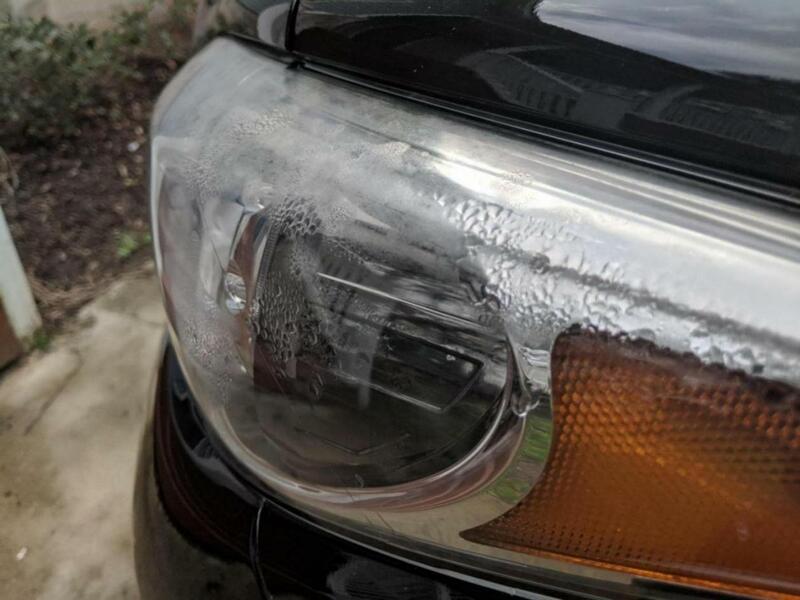 I've got condensation in my driver's side fog light. Thought MAYBE the LED bulb I put in it was the culprit if it wasn't seated tightly. So I took it out, let the housing dry via fan blowing on it all night, then put the bulb back in. took it to get it washed the next morning, and lo and behold, a little moisture in the housing again after the wash. DEFINITELY had the bulb seated properly, zero doubt about that. I feel like there is a small crack on the exterior or somewhere around the edges facing the front. Can't think of any other reason moisture would so readily get in there. The service tech advised that I should put the stock bulbs (halogen) back in and then address it with them, as they would not likely do much if I had aftermarket bulbs in it. So I have my first oil change scheduled for the 18th. In the meantime, I'll pull out the LED bulb, dry out the housing again, and put the factory bulbs in it again beforehand. Hopefully itll rain between now and then also and I can see if moisture in the housing occurs again. Then I'll know it's the housing and it came that way, rather than being an issue with the aftermarket bulbs (which I doubt since the passenger side has the same aftermarket LED bulb type, and there is no issue with moisture. Something to think about, the actual bulb base is the thing that seals the housing. Normally there’s a rubber o ring in the bulb base. If you have a cheap(er) bulb, the base may not be providing the necessary seal. What I recommend is putting the OE bulb back in and test for leaks. If it’s dry, you know it’s the bulb.